Alfred Maudslay was born on 18th March 1850. He was my great uncle (my grandfather’s brother) and was the grandson of Henry Maudslay, one of the most famous engineers in the early years of the Industrial Revolution who worked closely with Marc Brunel and his son Isambard Kingdom Brunel. Several of Henry Maudslay’s inventions, including lathes, measuring machines and steam engines, can be seen in the Science Museum in London. Alfred went to Harrow School where he remembered the headmaster instructing that all boys should have their trouser pockets sewn up so that they didn’t walk around slouching with hands in their pockets, but did not think he learned very much. One subject he did find himself very good at while at the school was drawing maps – something that must have helped him greatly when he became an explorer. On leaving school he went to Cambridge University and after that enrolled as a medical student. Before starting his medical studies he and his brother set out for what we would call a gap year in the West Indies and Central America. They sailed from England on 17th June 1872, arriving in Jamaica on the 31st. They then sailed to Panama and eventually arrived in San José in Guatemala. After travelling on horseback around the country they sailed to Acapulco and then to San Francisco. 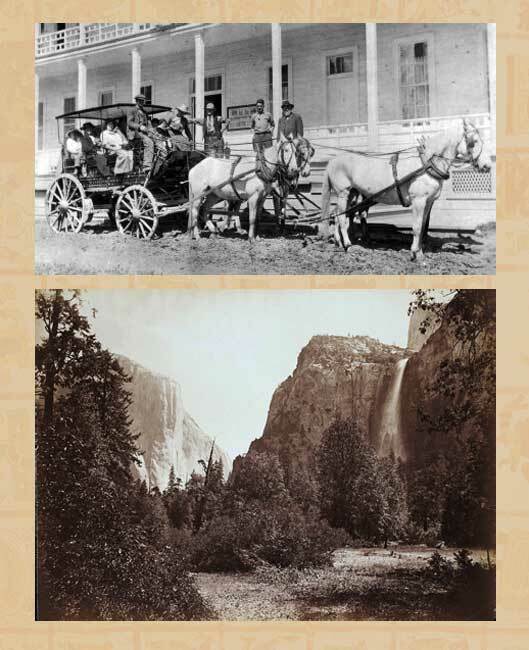 Here they took a train, then a horse-drawn coach to see Yosemite. It was on this coach journey that he met the woman who, many years later, was to become his wife. Following a further train journey across the USA they took a ship back to England from New York. The following summer he and another brother travelled throughout Iceland on ponies. He went back to his medical studies but that winter, suffering so badly from coughs and catarrh, he decided to move to a warmer climate and sailed again to Jamaica with the intention of growing tobacco. Unable to land there because of an outbreak of yellow fever he travelled on to Trinidad where he was offered a temporary post as Private Secretary to the Governor. He was invited to continue in this role when the governor moved to Queensland, Australia; subsequently becoming Private Secretary to the Governor of Fiji where he found time to collect native artefacts such as canoe-building adzes, and also to tame some tropical birds which thereafter lived in his house. In 1878, he was appointed Acting Consul and Deputy Commissioner of Samoa, followed by a stint in Tonga and then another in Fiji. In 1880, after serving for five years in British territories in the Pacific, Alfred resigned from government service, believing there was little chance of promotion. 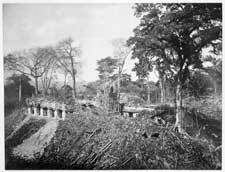 Following some months travelling in different parts of the world including India and Japan, Alfred arrived in British Honduras (now Belize) in January 1881 and thence travelled to Guatemala. 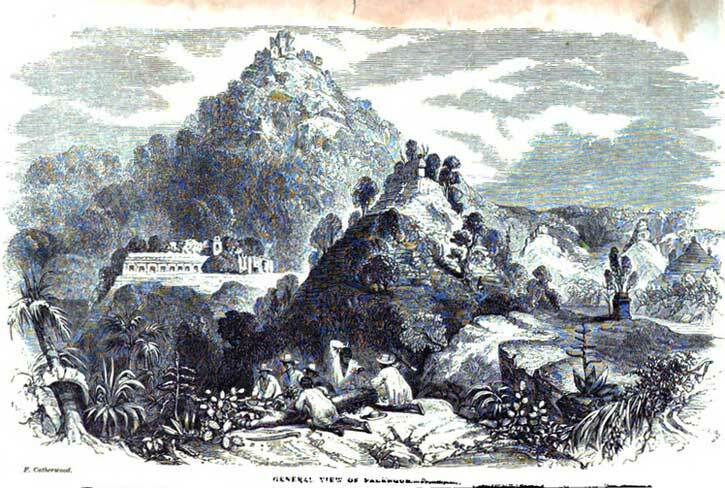 He had with him the two volumes of John Stephen’s book, Incidents of Travel in Central America, published in 1841 but still widely enjoyed today, which may have inspired him to turn to archaeology. For some months he had been working to perfect his Spanish, a skill that was essential for his journeys across Central America. 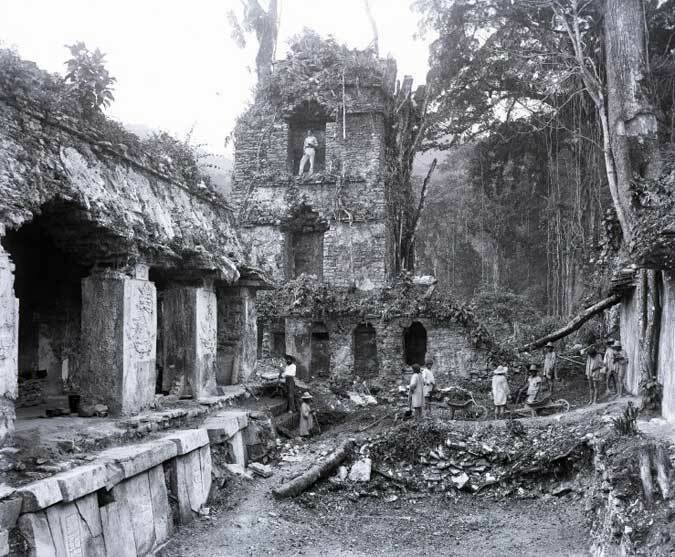 His first stop was at the Mayan ruins of Quiriguá, where he took what were to become the first of a vast library of photographs. The cameras then available were very large and cumbersome, chemicals had to be carried to develop the glass negatives and the only flash lighting available came from magnesium powder or ribbon so obtaining good photographs in the field was no easy task. 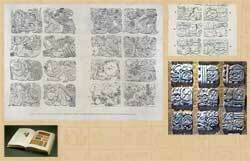 But Alfred’s superb results continue to provide reference documents for Mayan scholars even today. It was not an easy task to photograph the ruins. 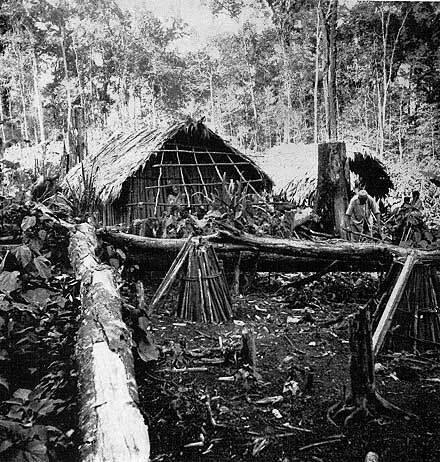 They were covered with centuries of jungle growth and surrounded by near-impenetrable trees and creepers. This had to be cleared by hand using long jungle knives (machetes). Then layers of moss and other growths had to be scrubbed off very carefully to see any carved inscriptions below. 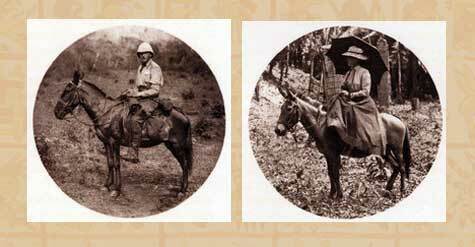 From Quiriguá he travelled by mule, with several more mules for all his equipment including his cameras and photographic chemicals, to Copán and on to Guatemala City. From there he climbed the volcano Volcán de Agua. The next important stop was the ruins of Tikal, several days’ journey away. There were rivers to cross, where he and his guides were normally able to find a small ferry-boat, while the mules had to swim across. 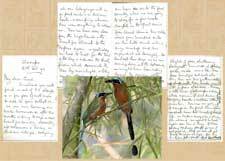 There were “fleas, mosquitoes, sandflies, horseflies, garrapatas [ticks] and every other sort of noxious insect”, as he noted in his journal after an unpleasant night. Finally, following more long rides he reached Belize City where he caught a ship to New Orleans, then by train to New York for a ship home. Around six months later, on 17th November 1881, he again embarked, arriving at Guatemala city where he had time to climb not only Volcán de Agua again but also Volcán de Fuego. This was a much more arduous climb, being considerably higher (at 3,763m). The crater of the volcano was smoking and was surrounded by a cone of cinder and ash. 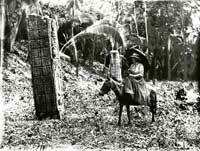 He then set off for Quiriguá where his assistant Gorgonio López, whom he had employed on his previous trip, had already spent some weeks clearing jungle growth away from the stone monuments and buildings. Alfred was able to take many photos and also prepare detailed plans of the site. Having finished the tasks he had set himself at this site, he went, by mule and then by canoe, down the River Usumacinta. After paddling through a narrow defile between rocky ridges they reached the mouth of a stream called Yaxchilán. Here they went ashore hoping to meet some of the Lacandón Maya, who still live in this region. They met some Lacandón women, in a traditional house made of wooden stakes, who explained that their menfolk were away for a few days searching for cacao, used to make strong drinking chocolate. Around the house was a clearing planted with maize (used for traditional Mexican tortillas), plantain, chilli, tobacco, gourds, calabash and cotton. 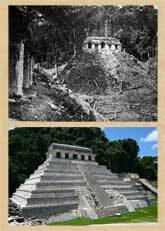 A short distance downstream Alfred and his companions went ashore again and discovered the extensive Mayan ruins we now know as Yaxchilán. One bonus at this site was the discovery of many peccaries (wild pigs) which provided a pleasant change of diet for the travellers. Before his next trip, which began in January 1883, Alfred experimented with a plaster-casting technique for taking moulds of the carved sculptures to bring back to England. This could be used to give a precise copy of the carved glyphs on standing stones (stelae) or doorway lintels (dintels). 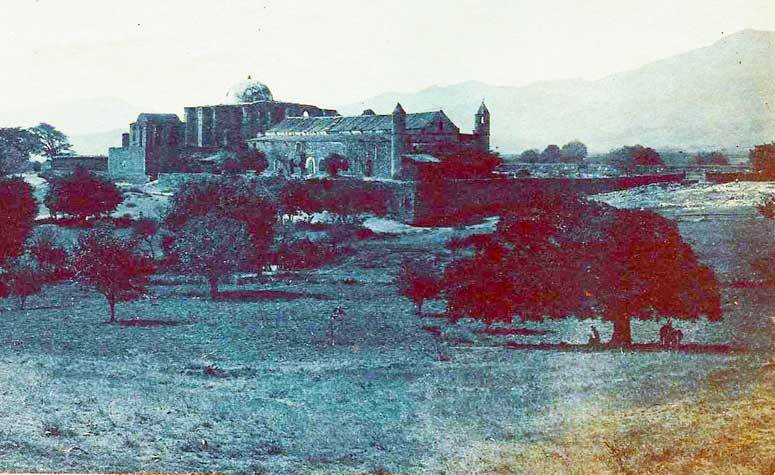 The only disadvantage was that the plaster had to be carried to the remote sites in waterproof sacks on muleback or, where no mules were available, by local porters over ranges of hills and along narrow tracks. Much more site clearance was undertaken at Quiriguá and wooden scaffolds had then to be built around the bigger monuments so that they could be scrubbed clean before the plaster casts were taken. These were then divided into sections, carefully marked, so that over one thousand of them could be carried to the coast for shipment to London where they could be reassembled prior to replica statues being cast. 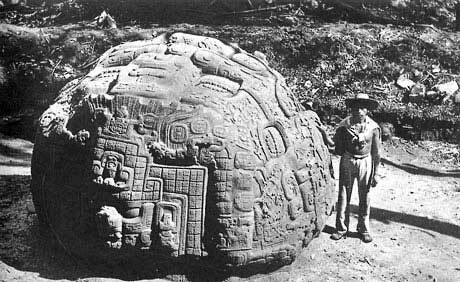 Having successfully completed further expeditions to Guatemala, Alfred decided in 1888 to go further north, to Chichén Itzá in the Mexican Yucatán. 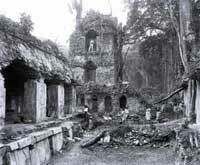 These ruins had been known since the early years of the Spanish conquest - in 1532 Francisco Montejo the younger had established a base there. During the mid-1800’s several early archaeologists had carried out explorations here but none with the systematic thoroughness that Alfred brought to bear. He set up camp in one of the chambers on top of the building known as Las Monjas where the famous photo of him working at his camp table was taken (pic 9). One of his great achievements during this visit was a very detailed plan of this extensive site. This trip was the longest and most gruelling of his expeditions. He had intended to conclude it with a visit to nearby Uxmal but five months’ hard work in the heat of the Yucatán under very difficult conditions, coupled with a bout of malaria, was more than most Europeans could endure. It took Alfred more than six months to recover his usual health. 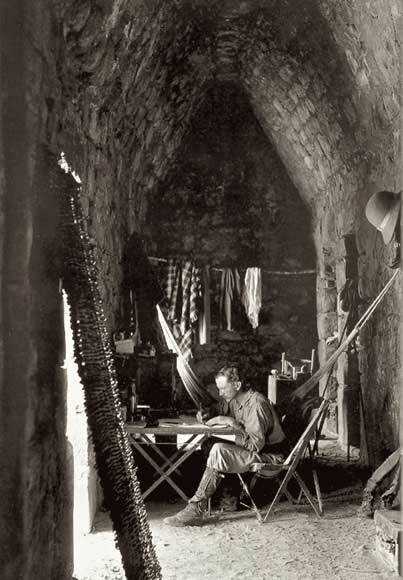 By 1890, Alfred was back in Mexico with Palenque in Southern Mexico as his goal. This, probably the most beautiful of all Mayan cities, lies in dense green jungle, in stark contrast to the scrub that surrounds Chichén Itzá. With some difficulties Alfred recruited sufficient labourers to clear the site. Some weeks he had up to 50, others he had none at all as they had all disappeared to attend fiestas in their villages. He and his assistants made numerous plaster moulds of inscriptions on the temples; a process not without difficulty: sudden tropical rainstorms sometimes washed away their work since no proper waterproof storage was available. 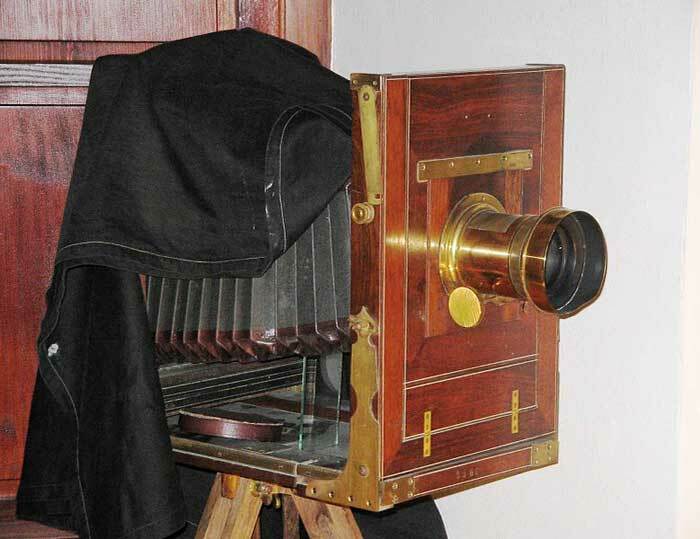 Alfred took many photos on the 6.5 x 8.5 inch camera, and more on his 10 x 12 inch one, all using heavy glass negatives which had to be transported with great care. The labour involved in this four-and-a-half month venture had been tremendous but the outstandingly detailed photographs that resulted were ample recompense. 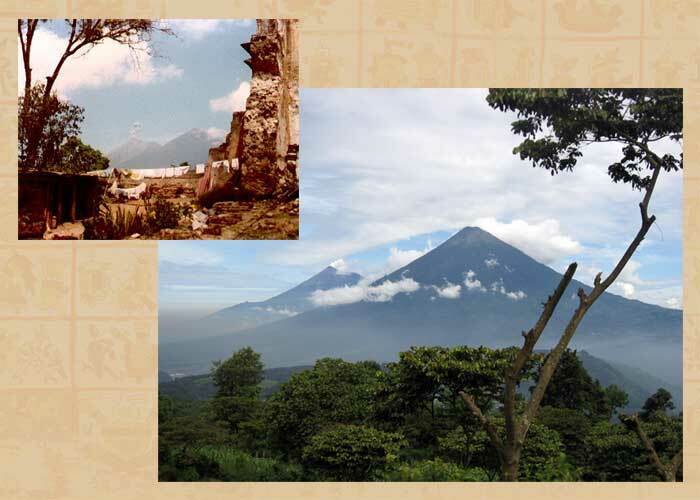 Enclosed you will find a set of US stamps and a few from Guatemala to add to your collection. We are now turning our heads homewards after two months riding through a most beautiful country, scrambling up volcanoes and living in Indian villages, carrying all our belongings with us on pack mule and on Indians’ backs and camping where there was anything to interest us. Now we have come down from the highlands and the beautiful climate to the tropics again. Yesterday we had to halt for the heat of the day and ride over the dusty plain which surrounds this town by moonlight, and today we are stewing indoors waiting for the mules which are to carry our boxes on to the forest country where we are going to stay for a few weeks camped in great ruins. Your Aunt Annie has ridden about four hundred miles on her little mule without any mishap, and has enjoyed it all thoroughly. 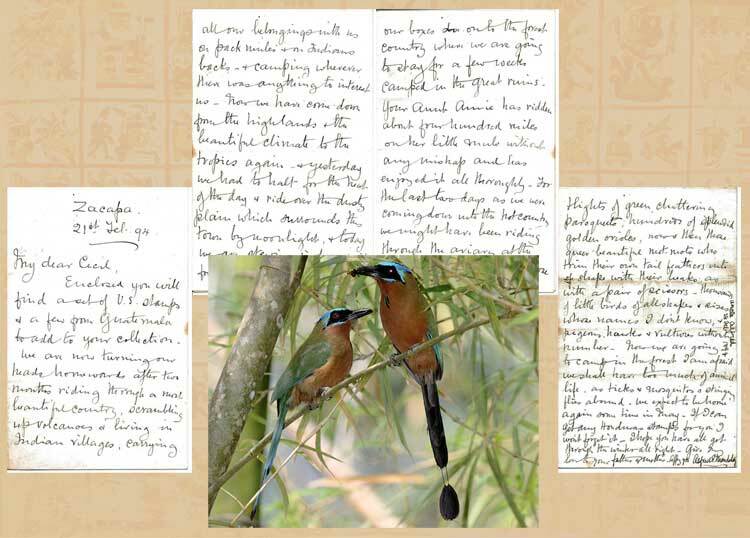 For the last two days as we were coming down into the hot country we might have been riding through the aviary at the zoo with all the birds let loose; flights of green chattering paroqueets [sic], hundreds of splendid golden orioles, now and then those beautiful mot-mots [see pic 12] who trim their own tail-feathers into shape with their beaks as with a pair of scissors, thousands of little birds of all shapes and sizes whose names I don’t know. And pigeons, hawks and vultures without number. Now we are going to camp in the forest I am afraid we shall have too much of animal life as ticks and mosquitoes and stinging flies abound. We expect to be home again sometime in May. If I can get any Honduras stamps for you I won’t forget it. I hope you have all got through the winter all right. Give my love to your father and mother. 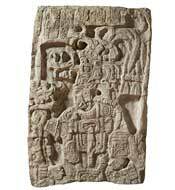 Their journey then continued to the sites at Copán and Quriguá for more photography and plaster moulding. During their journey Annie bought from a local woman a baby squirrel which she named Chico. It travelled back with them via New York, hiding from the guard on the train through the USA, then, surviving various misadventures, remained their much-loved pet for two more years. In around 1898 Alfred and Annie bought a small gold mine near Oaxaca in southern Mexico. They lived there for several winters but, despite his best efforts, the mine was not a success and did not make a profit. Alfred did, however, manage to create a beautiful garden and, by 1905, they installed a generator to light the house and its veranda with electric lights, adding greatly to their comfort. They had a pet monkey called Pancha who became very tame and amusing. In 1905 they sold the mine and went to live in San Angel, at that time a small town outside Mexico City but now totally swallowed up within the city. Here Alfred worked on his translation of the History of the Conquest of New Spain by Bernal Díaz del Castillo. They finally left Mexico for the last time in early summer 1907. 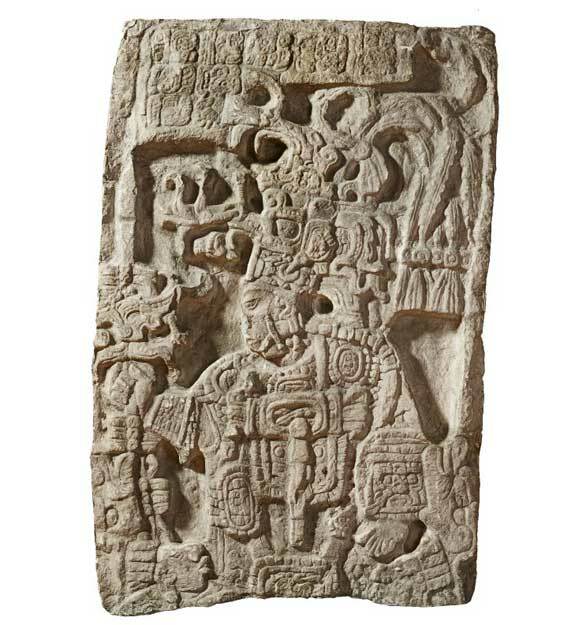 But this was by no means the end of Alfred’s work with Mayan archaeology. He had worked extensively on making casts of the various monuments, stelae and inscriptions (glyphs), details of which had been captured in the plaster moulds. He had employed professional artists Edwin Lambert and Annie Hunter, to make clear drawings of the inscriptions using both the casts and the photos as base material. While the drawings, maps and photographs were being prepared, Alfred had worked on the text which would accompany them when they were published in six special volumes within the series of scientific reference books compiled as the Biologia Centrali-Americana. In addition, Alfred and Annie collaborated in writing an account of their travels in a beautiful, large-format book entitled A Glimpse at Guatemala, with some Notes on the Ancient Monuments of Central America (available today as a reduced format facsimile). Following their return to England, Alfred completed his five volume translation of Bernal Díaz’ great work. He was also much involved in organising conferences on Mesoamerican topics and in lecturing at the Royal Geographical Society and the Royal Anthropological Institute. Following the end of the First World War, he lobbied extensively for a permanent home to be found for the best of his plaster casts. In 1922 his efforts were successful when the Maudslay Room was created in the British Museum – a superb gallery which survives today. Annie died in 1926, having been severely weakened by the serious influenza which affected so many people in 1918. Alfred visited archaeological sites in Egypt later that winter with Annie’s niece. He then set to work on an abridged, one volume edition of Bernal Díaz’ epic and also published in 1930 an autobiography recounting his experiences in the Far East, entitled Life in the Pacific Fifty Years Ago. In January 1931, just short of his 81st birthday, Alfred died of a heart attack. The legacy he left for Mayan and Mesoamerican scholars was priceless. His splendid and detailed, photos, coupled with the plaster casts which cost such time and labour to produce, have preserved for future generations details of the carved glyphs that scholars now and in the future can read and decipher, even though many of the originals are now unreadable due to the effects of weathering after being cleared of the vegetation which protected them for so long. His plans and maps were created with such meticulous precision that they were unrivalled until the advent of GPS. He ensured that his work was available in perpetuity to scholars and the general public alike by publication in the Biologia Centrali-Americana and the Maudslay Room of the British Museum. 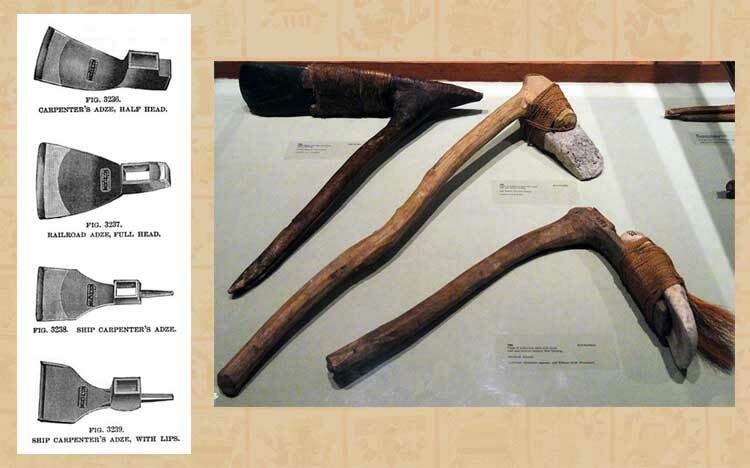 Throughout his work he showed great respect for the originals, immense precision in his approach and a reluctance to draw grand conclusions from sparse data, as had sometimes been the case with earlier archaeologists. For these traits scholars and curators in Mexico and around the world can be truly thankful. With sincere acknowledgement to Professor Ian Graham from whose biography Alfred Maudslay and the Maya I have liberally quoted. 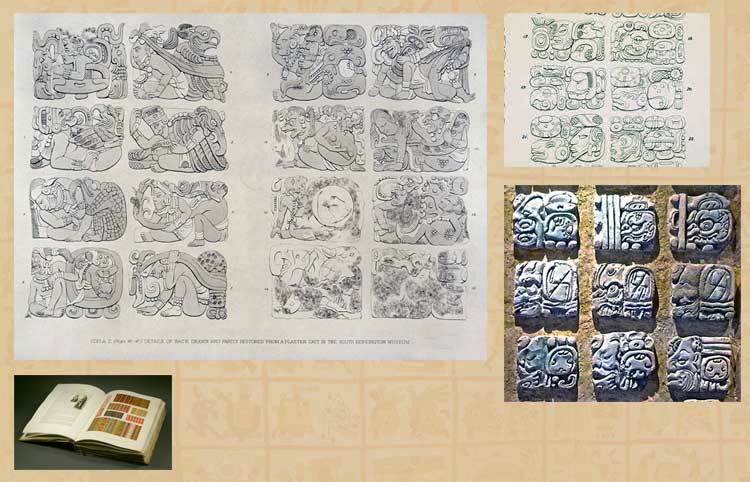 • The British and the Maya – by Elizabeth Carmichael (British Museum Press 1973). • Pic 18: Photo by Alfred Maudslay, courtesy of Richard Maudslay.